Concerns over whether or not votes are being accurately recorded are not new. 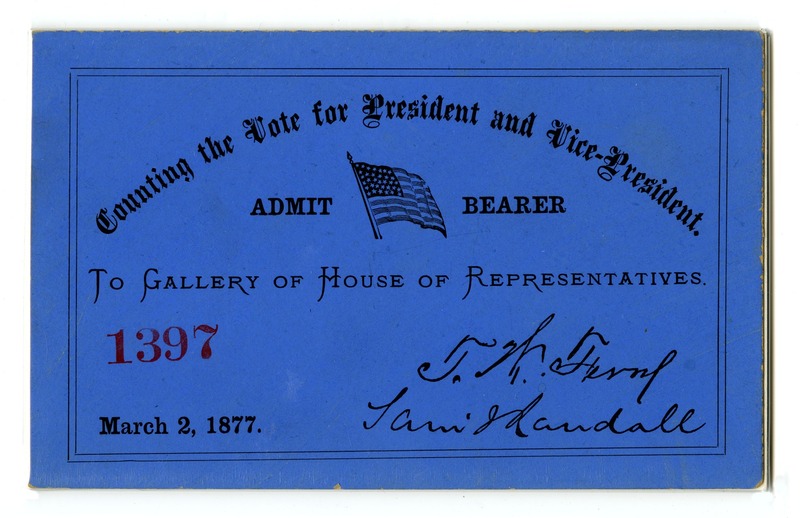 The results of the 1876 presidential election between Samuel Tilden and Rutherford Hayes were close enough to require recounts of ballots in Louisiana. 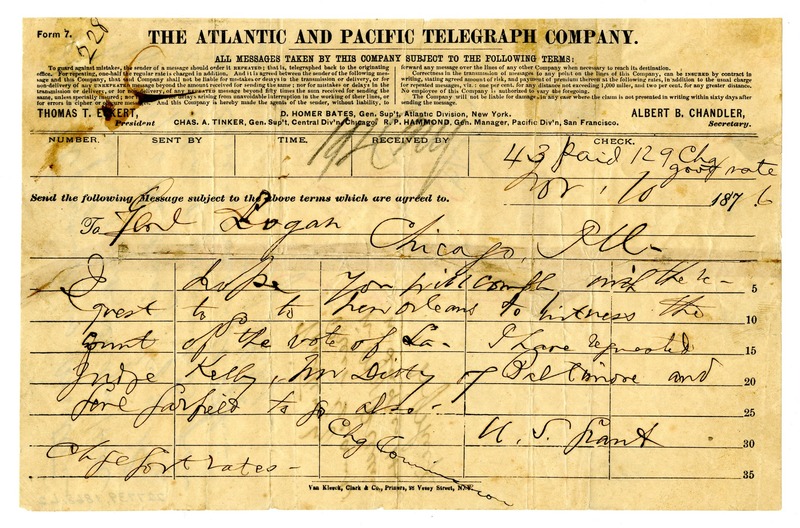 President Ulysses S. Grant sent this telegram requesting observers to monitor the recount to prevent the election being “stolen” by the Democrats. The election was eventually settled in Republican candidate Rutherford Hayes’s favor by a special commission of congressmen and Supreme Court justices. Tickets and tally sheets allowed spectators to follow the deliberations of the Electoral Commission.